United States President Donald Trump has named a new ambassador to Sierra Leone, pending her approval by congress APA learnt in Freetown on Monday. Maria E. Brewer of Indiana was nominated as Ambassador Extraordinary and Plenipotentiary of the US to Sierra Leone, according to reports. Ms. Brewer, a careerist at the Foreign Service, will replace outgoing ambassador John Hoover if approved by Congress. Mr Hoover who assumed the role in 2014 is due to return in July after completing his three-year tour of duty. A statement by the White House revealed that the nominated ambassador who has served as an American diplomat since 1996 is currently the Deputy Director of the Career Development and Assignments Division of the Bureau of Human Resources at the Department of State. Ms Brewer has served at six United States missions abroad, including in Freetown where she was political, economic, consular and public affairs officer at various points up to the late 1990s. 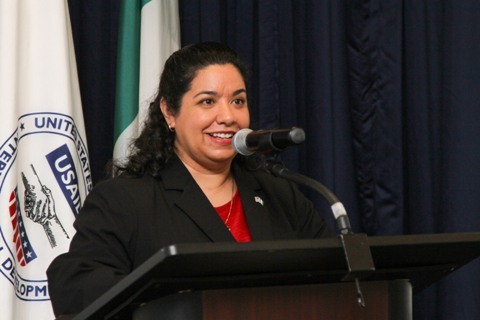 She has also served in other senior leadership positions at the Department of State. A holder of an MSc degree from the National Defense University Industrial College of the Armed Forces and a B.A. from Valparaiso University, Brewer speaks Spanish.